Service Costs > How Much Does CPI Security Cost? For more than 25 years, founded in 1982, CPI Security claims to be the leader in home security, as per the company’s official about us page, and they also claim to be the only provider that designs, installs, monitors and uses its own security system, connecting the homeowners no matter where you are, always bringing real-time knowledge with interactive systems such as video monitoring, system alerts, door and temperature control. As of today, the company offers options in Georgia, Tennessee, South Carolina and North Carolina. How much does CPI Security cost per month? However, aside from the official website, we were able to find many customers online who did share what they were paying monthly, with prices ranging anywhere from $30 to $59+ a month, with an average $99 activation fee, but this could vary and up to $1,700 in equipment may be included in the initial install as well. According to the reviews on PissedConsumer.com, for instance, one reviewer said they were paying close to $50 a month, while another stated it would cost an additional $14.99 a month to add cameras to the account on top of the basic alarm prices. Many warned that you should closely examine the contract ahead of time to know how long your alarm contract is going to stay active to avoid any cancellation fees. NOTE: This information was sourced via a phone call to CPI Security and greatly vary depending on your inclusions, location, current promotion and contract signed. For more information, we highly encourage you talk with the company directly and use this as an estimate only. All standard packages include free professional installation, the inTouch app, 24/7 monitoring and the false alarm guarantee, with five door/window sensors, a motion detector, control panel and yard signs included as the equipment. The next package, the Smart Home System with Video, will include everything in the standard package, but the package will also include an inTouch outdoor HD camera, inTouch interior HD camera, touchscreen door lock and remote video access with video verification. Customers are also able to build their own security package, which can include fire/carbon monoxide monitoring, interior cameras, doorbell camera, exterior cameras, door locks, garage door control, smart thermostats, light controls and/or a streaming video recorder. According to the company, if your system malfunctions and/or causes a false alarm, then the company will credit your account for any tickets and/or fines you receive from your local government. If you do already have a system in your house, the company will take it over as they can monitor the system you already have. 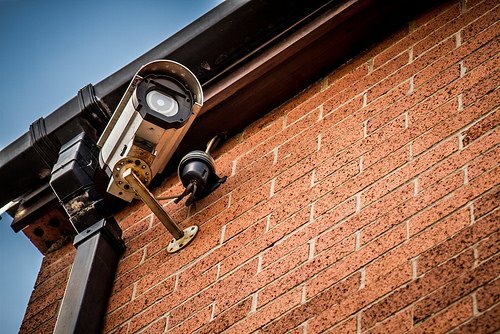 Aside from a basic security system, the company has a slew of additional add-ons such as outdoor/indoor security systems, doorbell cameras, door locks, garage door controls, thermostats, light control and more. Be wary of the contract stipulations as many customers noted they had to sign a six-year contract, with various auto-renew clauses and additional information. Be sure to closely examine your contract before signing.